This fruit cake is for those of you who don’t usually like fruit cake! The secret ingredient is flaked coconut. It is based on the traditional, Mrs. Harvey’s White Fruit Cake, but with my addition. 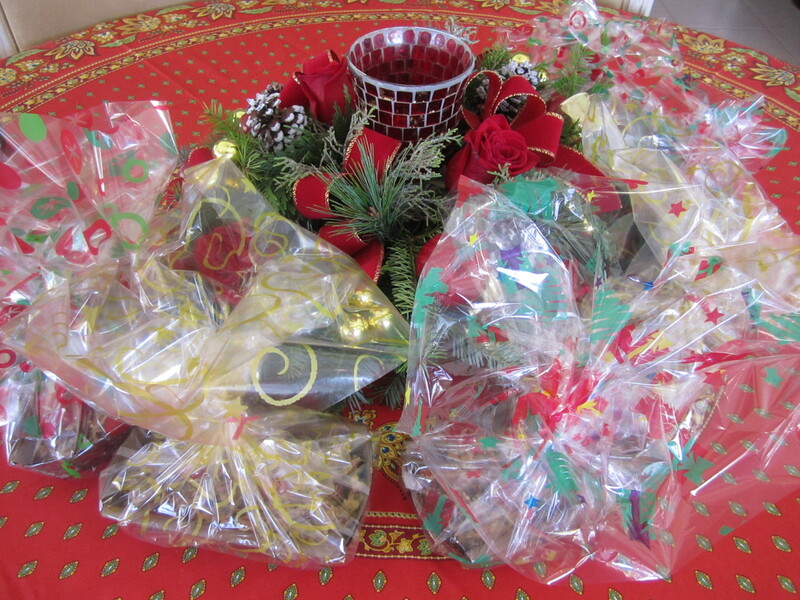 I like to make small fruit cakes and give them as gifts! Delicious! Chop nuts and fruit into medium-size pieces (save some whole for top of fruitcake): dredge nuts & fruit with 1/4 C of flour. Do not use a food processor, it will make fruit gummy. Cream butter and sugar together until light and fluffy with an electric mixer. Beat in eggs one at a time. Sift together remaining flour and baking powder. By hand, fold flour & baking powder mixture into butter-egg mixture. Stir in vanilla and lemon extracts, it will be the entire 2 oz. bottle of each. Blend in fruit and nuts, and coconut flakes, again by hand. Traditionally you would use a tube or 2 loaf pans, here is the instructions for both: Grease a 10″ tube pan and line with parchment. Grease again. Pour batter into prepared pan, bake at 250 degrees for 2 1/2 to 3 hours. Place cake in a cold oven (do not pre-heat). Cool in pan on baking rack. 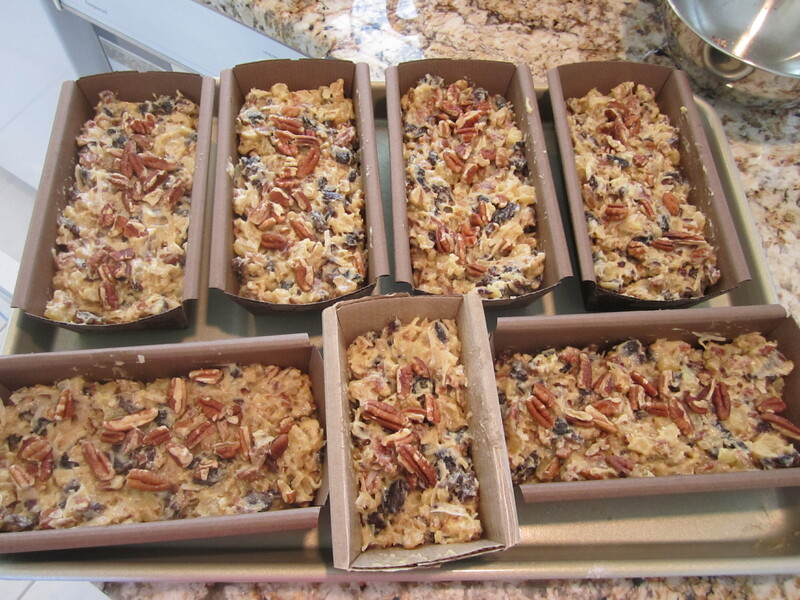 Note: If using 2–8 1/2 by 4 1/2 inch loaf pans, bake 2 hours. Check cake 1 hour before done, again in 30 minutes. When done, remove from oven and cook in pans on cake rack. Makes 5 pounds of fruit cake. If using 4 1/2 by 2 1/2 by 1 1/2 inch (baby) loaf pans, as I did, bake the cake about 1 to 1 1/2 hours, test for doneness by piercing with a toothpick, if it comes out clean, it’s done. Place baby loaf pans on a large cookie sheet. 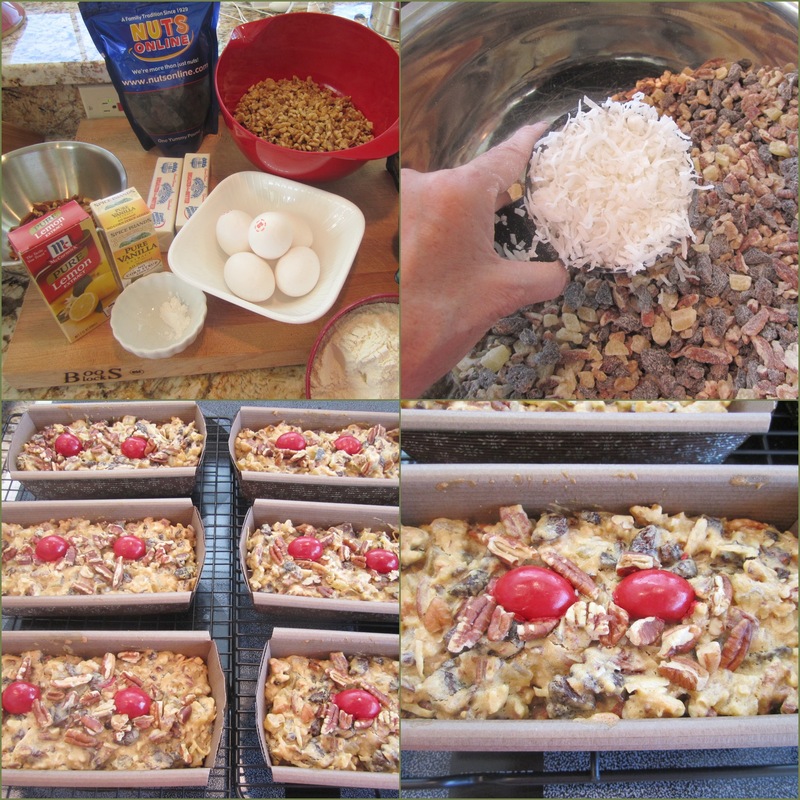 Optional: Before baking, top with half pieces of pecans for decoration, and/or after baking, top with candy cherries. I used chocolate covered cherries for decoration, just because I had them on hand (wait for cake to cool before doing this!). 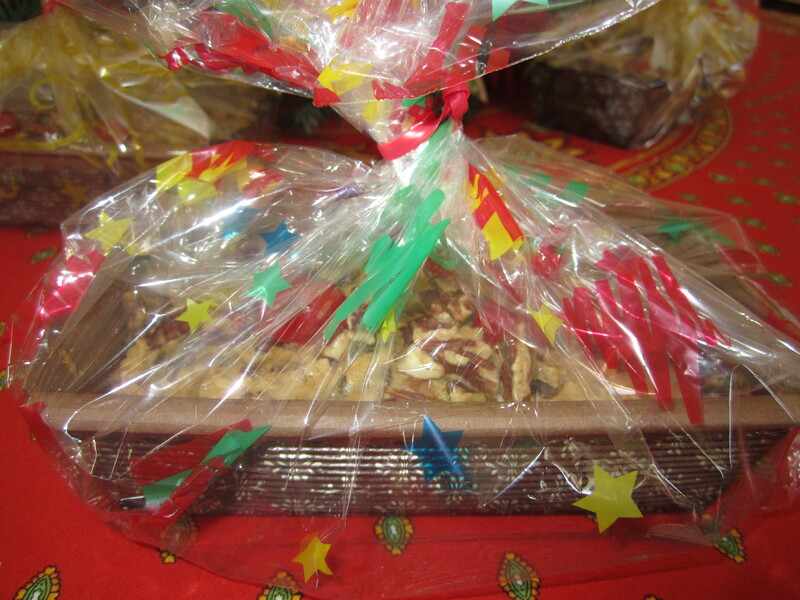 This entry was posted in Desserts and tagged CAKE, COCONUT, Desserts, Food, fruit, Fruit cake, fruitcake, Mrs. Harvey White Fruit Cake, snacks. Bookmark the permalink.